"The State Department is infested with communists!" 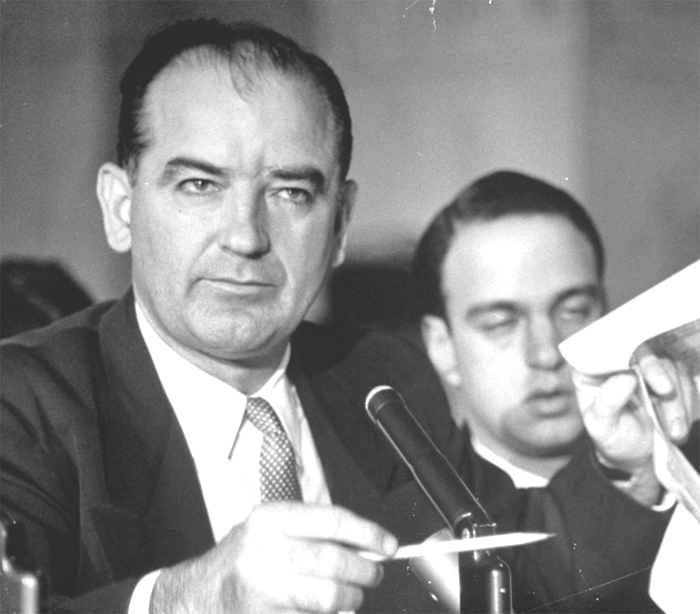 This collection includes audio recordings from Joseph McCarthy's memorable career. McCarthy is best known for his anti-communist stance during the Cold War where he attempted to root out communist in the State Department, then the Army, then just about everywhere. Eventually he was censured by the Senate for his zealous attacks. Joseph McCarthy had humble upbringing on a farm in Wisconsin. He worked his way through college and law school eventually becoming a judge and district attorney. When WWII began, McCarthy volunteered for the Marines at the age of 33. In 1946, Joseph McCarthy won the United States Senate Seat for Wisconsin. 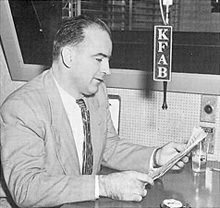 On Lincoln's birthday in 1950, McCarthy gave a history changing speech claiming that there were 205 (some reports say 57) communists in the State Department. In the speech he waved a piece of paper claiming to have the guilty names. This speech, though never recorded, set off not only Joseph McCarthy's fame but also one of the notorious events in American History known as McCarthyism. As Joseph McCarthy's popularity grew, his speeches became more and more virulent. In 1950, the Tydings Committee, a subcommittee of the United States Senate Committee on Foreign Relations, was formed to investigate people with communist leanings in the government. He later accused many high statespersons of treason. In 1953, he became of the chairman of the Senate Committee on Government Operations where he expanded his search for communists including checking the card catalogs of library books deemed suspicious. At this time, McCarthy held televised trials against members of Voice of American (VOA). 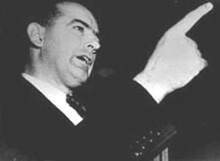 As a household name, Joseph McCarthy was often asked to give speeches during elections and fundraisers. When McCarty began investigating the Army and attempted intimate war heroes, his popularity began to wane in the press and with the public. Edward R Murrow became a staunch critic of McCarthy and is bombastic methods. 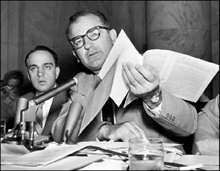 Senator McCarthy was a explosive speaker often using profanities and making accusations seemingly off the top of his head. This collection includes many known speeches and audio excerpts by Joseph McCarthy. See also: Keys to the Capitol, This is Civil Defense, The Fifth Horseman, Eyes Aloft, and Living in an Atomic Age. For fiction, see also: I Was a Communist for the FBI. 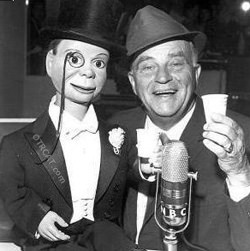 This collection is also part of the larger Red Scare in Old Time Radio compilation. Be the first to comment on "Joseph McCarthy Audio Excerpts"